It's quite likely you've clocked some of the beautifully packaged Natura Siberica range in your travels. 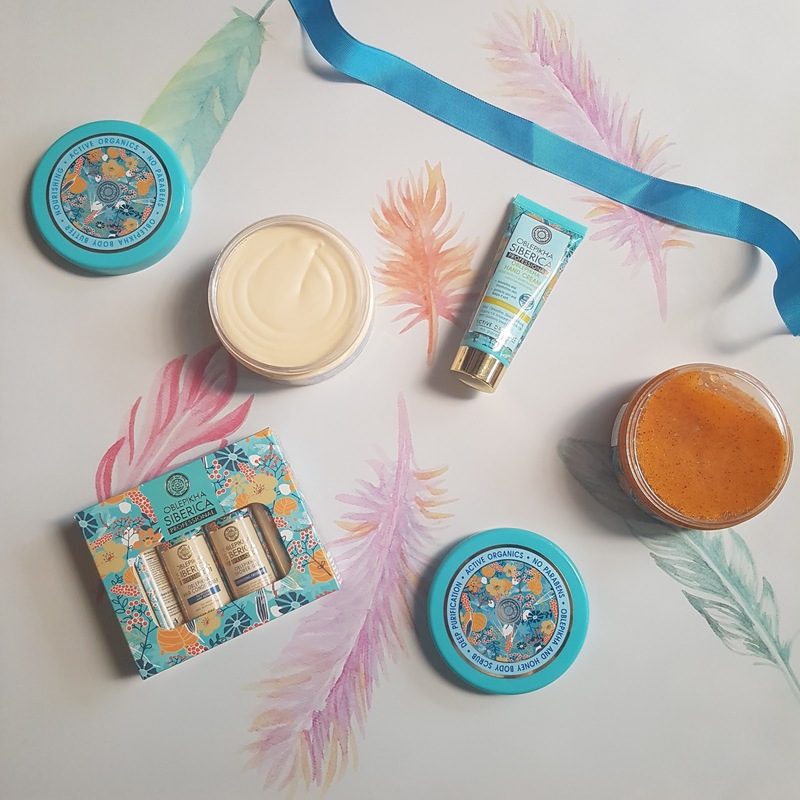 It's something I've been seeing popping up on loads of beauty blogs and I was super excited to be sent an Oblepikha Siberica gift pack to try out. Okay, so what in the hound dog is Oblepikha? It's also spelt Oblipicha, obliphica and, if you're feeling particularly clever, oблепиха. It's also known as sea buckthorn, which is a shrub that does indeed flourish near the sea, mostly in Europe. Now, Siberia has long been associated with deeply unpleasant cold and barren wastelands but I think you'll agree these products look anything but. Firstly, as I mentioned, can we just take a minute to appreciate the packaging. I want this print in a dress. Actually, I want to wallpaper my bedroom in it. The touch of gold gives it that luxe edge and makes it perfect for stocking stuffing, Kris Kringling or otherwise treating someone to some nice bath products this festive season. Secondly, I need to let you know all of this stuff smells AMAZING. Again, Siberia and tropical aren't two words I would usually put together, however there are definite orange and mango vibes here, from the scrub to the shampoo. Certified organic and bursting with herbs and natural ingredients harvested from actual Siberia, these ingredients were originally used to make elixirs and skincare for the Russian Royal Family, which is a pretty good indicator that it's the business because those guys don't play. Also good to know: Natura Siberica own the largest organic farm in Russia and support the indigenous peoples of the North of Russia and Siberia. My hair was feeling decidedly crispy after extensive use of toning shampoo when I was given this pack. One wash later and I was surprised at how noticeable the difference in my weave was; soft, silky and way less fuzzy. The small travel bottles are pretty firm so you will need to give them a good squeeze to get the product out or just spin the whole cap off but you won't be sorry once you do. I was so impressed by this product, I trotted myself off to Chemist Warehouse and bought the full-sized products (on special, obvs). Also on the crispy side were my hands. A few days of using the hand cream, and they were back to normal if not better. I am quite particular with handcream texture - too thick and it doesn't absorb and feels greasy for ages which is frankly gross especially when you're using a keyboard all day. Too thick and it does nothing. NOTHING. Again on texture, the body butter is like some kind of whipped butter you get with McDonald's hot cakes and the scrub smells SO SO GOOD I have gone and bought a new shower caddy so I can have more stuff in there with me permanently. SO GOOD. Have you used any Natura Siberica products yet? I really recommend you do so at your earliest convenience. Products kindly sent to me for review. All images, thoughts and feels are my own. Please see my PR & Media policy for more information on working with Almost Posh.